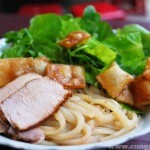 One of the most famous dishes in Hoi An is cao lau which is called Hoi An’s secret noodle. 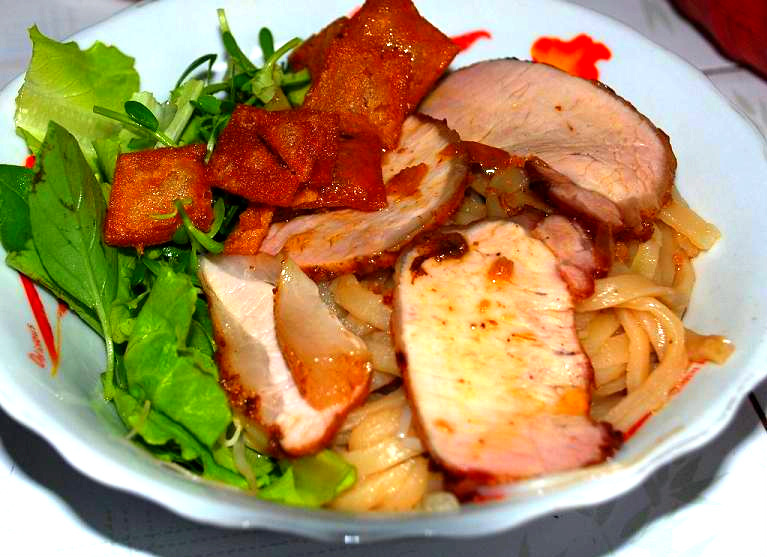 Cao lau is the best when being enjoyed in Hoi An and almost just available in Hoi An. 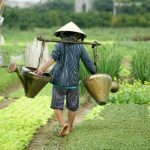 To make cao lau, people have to take water from a thousand – year – old well in Hoi An called Ba Le, the rice to make cao lau must be soaked in ash water from Cham island, and the vegetables to eat along with the noodles must be from Tra Que organic vegetable village. This is a kind of noodles with just a little of the broth and being enjoyed upstairs (high floors) by the merchants from all over the world in the past. – Ms. Ha, stall E035, Hoi An central market. 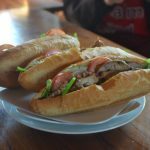 – Ms. Thanh, 26 Thai Phien St.
– The first stall in the front of an alley near 69 Phan Chau Trinh St..
– Hat’s stall at the crossroad of Tran Phu St. and Hoang Dieu St.
– Banh mi Phuong at 2B Phan Chu Trinh St.
– Banh mi Khanh at 115 Tran Cao Van St.
– Banh mi Phi at 88 Thai Phien St.
– Mr. Hai restaurant- 6A Truong Minh Luong (from 6.00 AM to 10.00 PM). – Ms. Bich restaurant at 272 Hung Vuong St.
– Street vendors in Thai Phien street. If you are a fan of BBQ, this is a must try. Grilled pork in Hoi An often served along with rice paper, vegetables and a special sauce made from pork liver pate, peanut, sesame and some other ingredients. Vegetables eaten along with grilled pork skewers are a mixture of lettuce, fish herb, sliced star fruit, cucumber, mango, young banana, cilantro, basil,…All of these will be wrapped along with the grilled pork in two layers of rice paper: one is wet rice paper and the other one is dry rice paper. 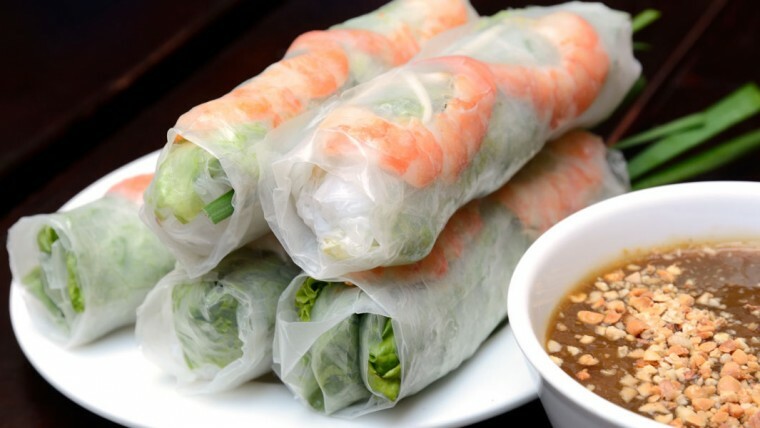 You wrap it, make it like a roll, and then dip in in the sauce and feel the taste. 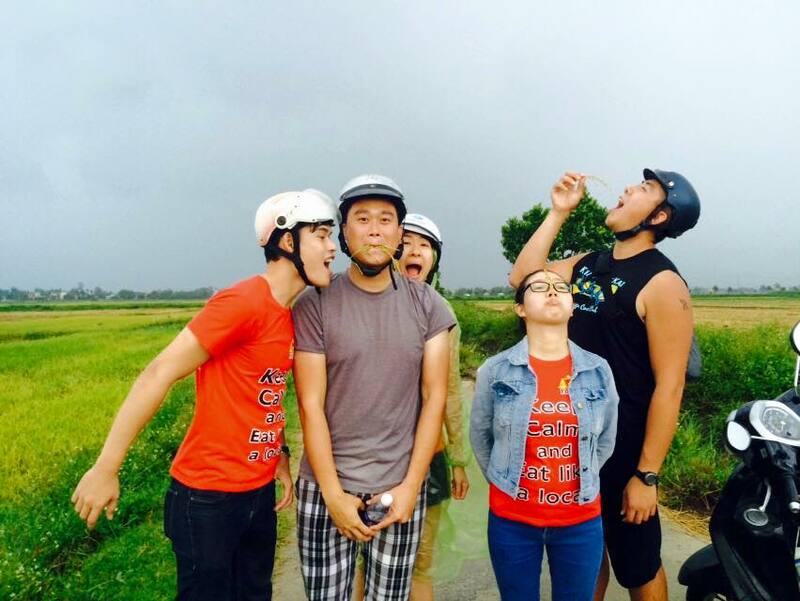 Um…so good! 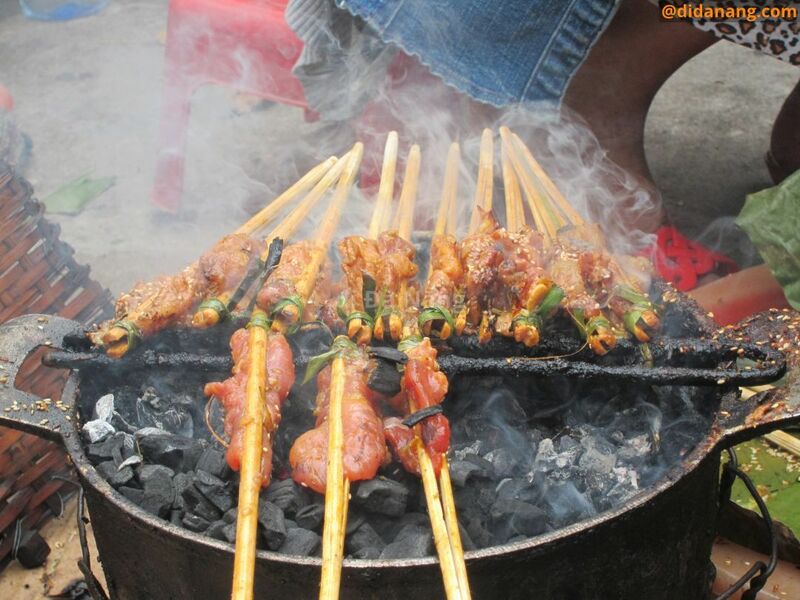 With just 10,000 VND/skewer, you have chance to try one of the best street food of Hoi An. You can find some street vendors selling this on Hai Ba Trung St., near the crossroad of Hai Ba Trung and Tran Hung Dao St., or find some on Bach Dang St. 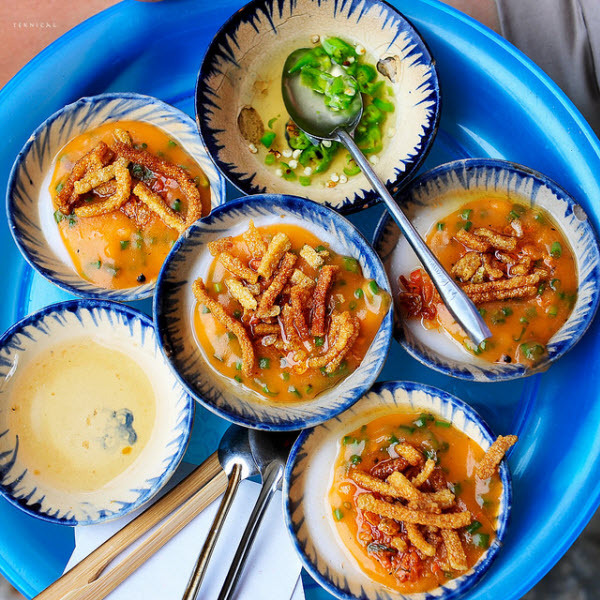 Simple but special, tofu is not a thing that is quite strange to you, but Hoi An tofu is something you should try as a good dessert or snack. Hoi An tofu can be served when it’s hot or cold along with some jelly, coconut cream, boiled sugar with water and ginger. Well, if you are searching for a good kind of dessert in Hoi An, you have just found it. 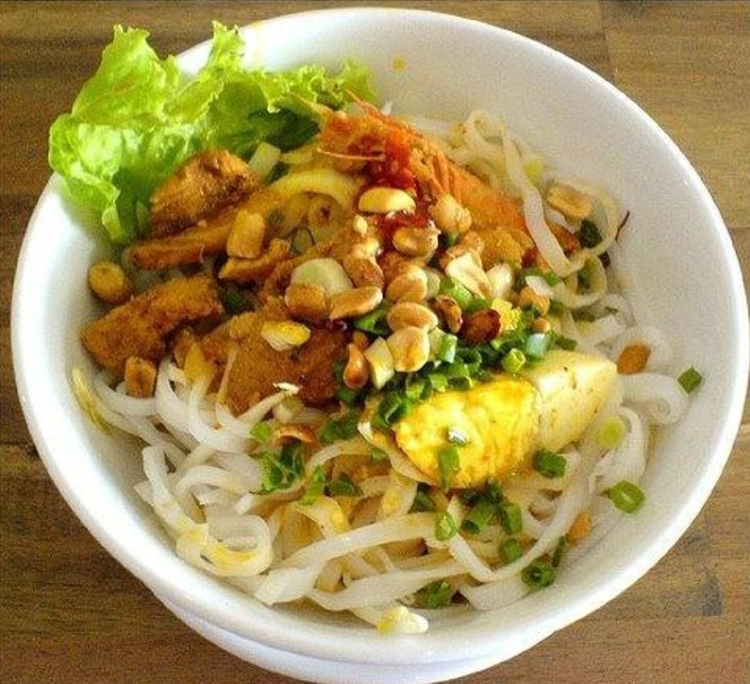 Only 10,000 VND/bowl and available on some streets in the old town like Le Loi street, Nguyen Thai Hoc street. Coming to Hoi An, you should try this cake since it’s not very popular elsewhere except some central Vietnam cities: Hue, Da Nang, Hoi An. 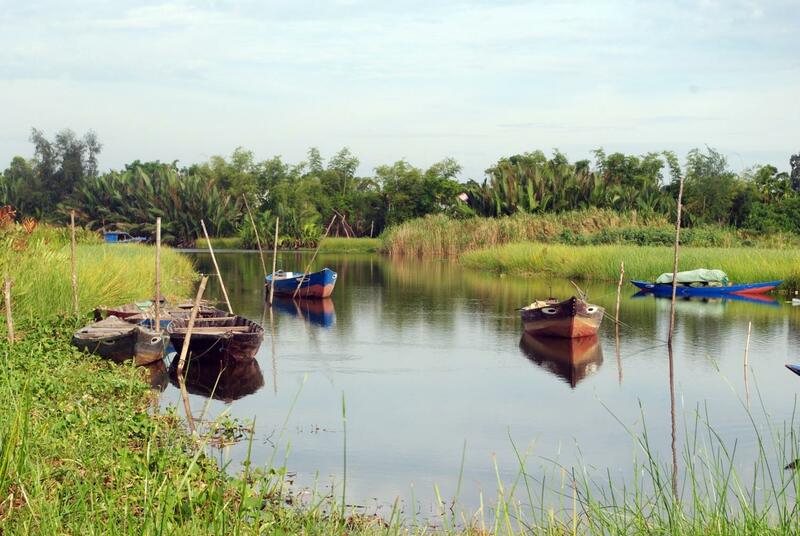 Hoi An water fern cake is different from Hue water fern cake. The water fern cake here is often served in a small bowl with a wet topping made with minced shrimp, pork, spring onion and dry topping made from deep-fried Cao lau noodles. – Aunt Tai’s with her mobile banh beo cart. Some streets she often passes through Ly Thuong Kiet, Ngo Gia Tu, Tran Hung Dao. She finishes on Nguyen Hue street. She starts at 3 o’clock in the afternoon. 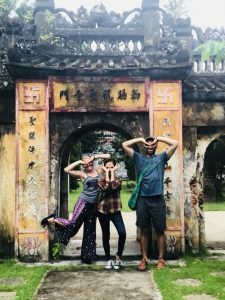 – Aunt Bay’s: at the corner of the old wall on Hoang Van Thu street. 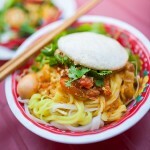 – Aunt Lan’s at 62 Phan Dinh Phung (near Tan An market), opens at around 4 pm in the afternoon. 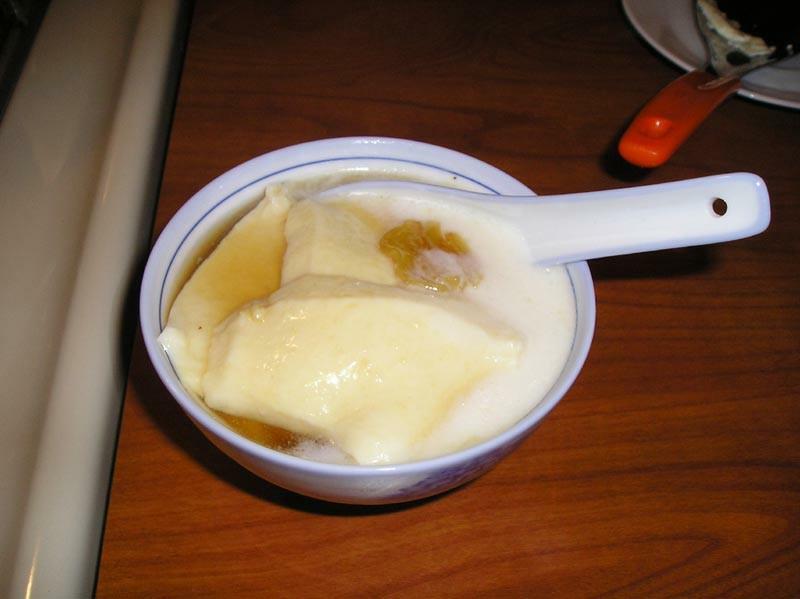 Xi ma is a kind of dessert which is made from black sesame, sugar, pennywort, and a kind of Chinese medicine. 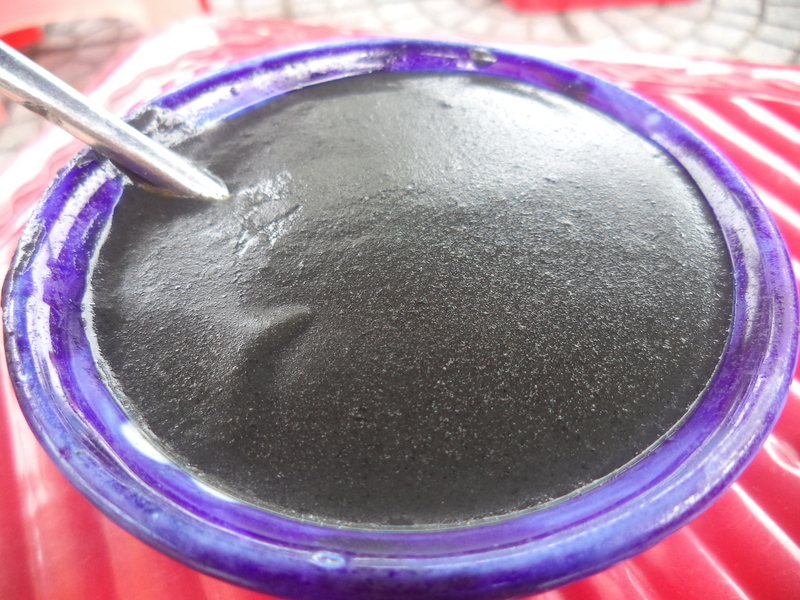 With its strange color – black, this is a kind of weird food that you won’t try when you are just tourists walking around. 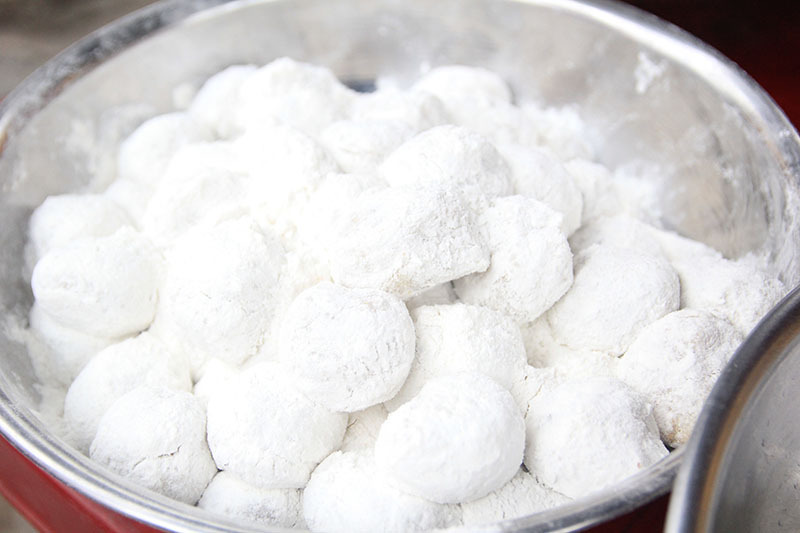 However, this is a good kind of dessert that you mostly just can find it popular in Hoi An. Xi ma is often served when it is still hot. With only 10,000 VND/bowl, a bowl of xi ma will make you change your thinking about a kind of food with black color. 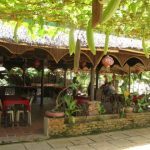 – On Nguyen Truong To St., about 50 meter away from the crossroad of Nguyen Truong To St.and Ly Thuong Kiet St.
– On some streets in the ancient town at night: Nguyen Thai Hoc, Tran Phu, Le Loi. 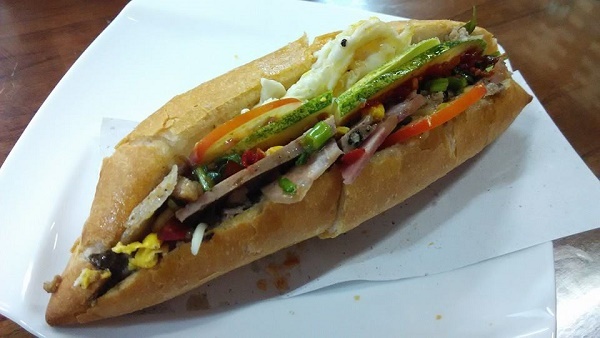 Not just these 8 dishes, there are still more good street dishes sold around Hoi An. We ‘ve mapped all street food stalls on Google map. 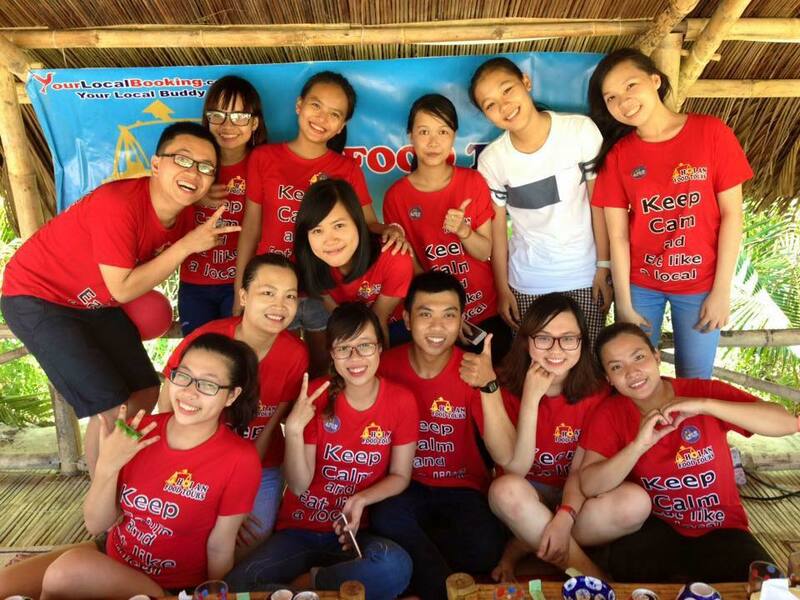 All you need is just get out of your place, stroll around and dare to try Hoi An street food. Good luck!